1 in 4 people in the UK workforce is now aged over 50*. Nevertheless, age discrimination is common within many companies across the UK and worldwide. But why? Older workers are not necessarily less healthy, less educated, less skilful or less productive than their younger counterparts. Yet, time after time, companies will rule an over 50 out of their recruitment process which leads them to miss out on excellent and highly experienced staff purely because of their age. Age discrimination is against the law and policies such as the Equality Act are in place to protect those who are discriminated against. But that should not be the only reason as to why you might look at someone who is that little bit older. There is a reason for an older candidate’s extensive CV and successful career history - They have knowledge and experience that cannot be found in younger candidates nor can it be learned from a book. Utilise their talent, experience and knowledge to grow and develop a team! What better way to learn the history of an industry than from someone who has been through it. Another key factor is that they are far less likely to leave! 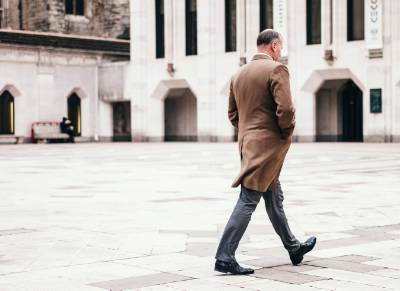 Yes retirement will be an inevitable factor, but with the government increasing retirement ages, they could provide you with a number of invaluable years’ service and at least they aren’t leaving for a competitor. The time they stay with you can be longer than a younger counterpart. A candidate at the age of 60 still has at least 8 years to dedicate to your business and, when you consider that staff between the ages of 16 & 36 historically only stay in one job for an average of 4 years & 4 months, why would you rule out taking advantage of all that experience? People are living longer now than ever before, as the age of the population increases so does the age of your customer base. The older consumers are the richest and also the fastest growing population* so why miss them out? Employing that slightly older candidate allows a company to relate and understand their audience. If you aren’t already targeting that market then you really are missing out! Older candidates bring a wealth of experience, proven and new ideas, and a reassuring track record. With this knowledge sharing it improves the problem solving ability of your exiting team and that is a win-win for you. Intergenerational teams improve the implicit beliefs about older adults which not only improves your team but equally develops the understanding and knowledge of both younger and older employees. The cost to recruit and train a new member of a team has a higher cost to a company than to train an existing member of the team. The benefits of employing older candidates are clear, but unfortunately age discrimination is wide spread in the modern workplace. There are challenges which employers face when employing an age-diverse workforce, but there is help and guidance out there. One route becoming increasingly popular is flexible working. All employees have the legal right to request flexible working - not just parents and carers. This can be essential in retaining valuable staff you do not wish to lose and also gaining invaluable knowledge and experience for an older candidate. One final note is that the CIPD’s guide for employers on managing a healthy ageing workforce revealed that the UK is running out of workers: current employer plans suggest that we’ll need to fill 13.5 million job vacancies in the next ten years, but only 7 million young people will leave school and college*. The move to employ older candidates is inevitable so why not join the many organisations that are taking advantage of the potential that an age diverse workforce can bring to a company.